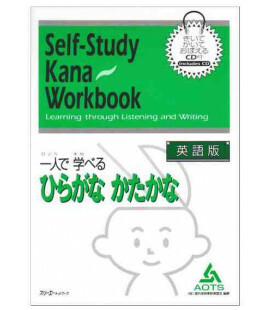 This book is intended for advanced beginners and intermediate students. 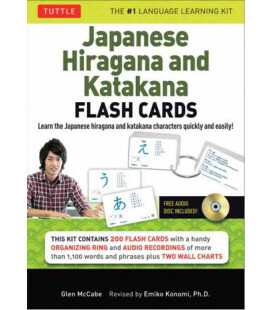 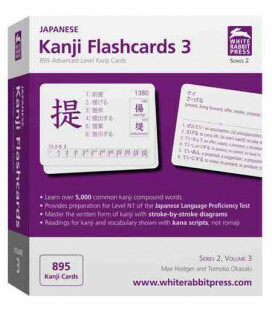 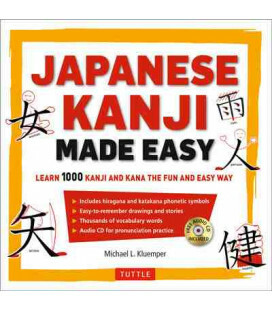 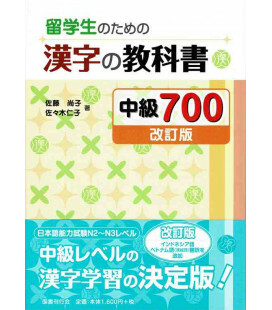 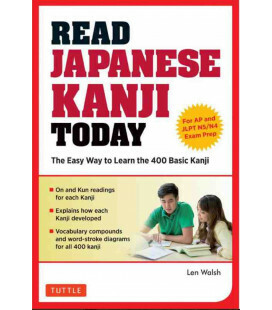 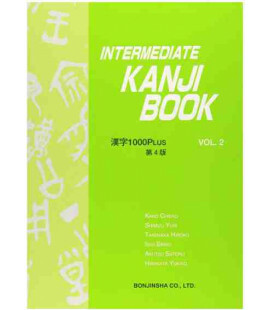 It was written for those who have studied simple characters but want to learn more kanji and increase their vocabulary. 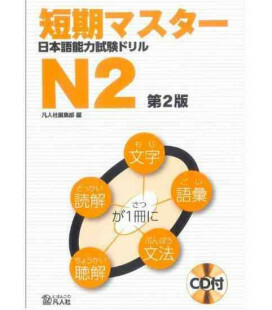 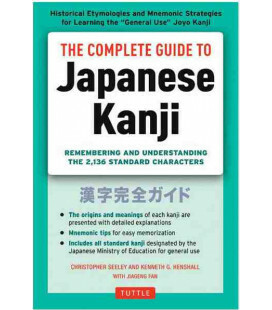 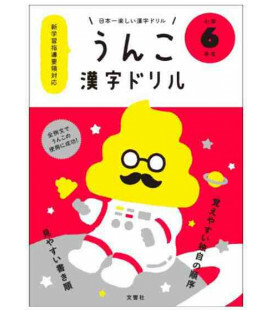 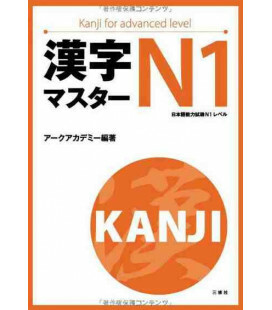 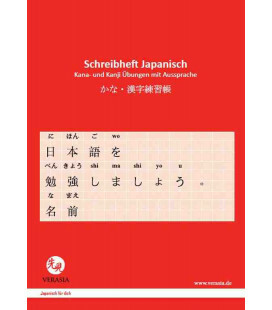 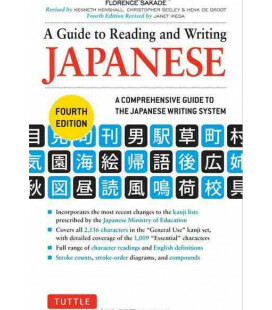 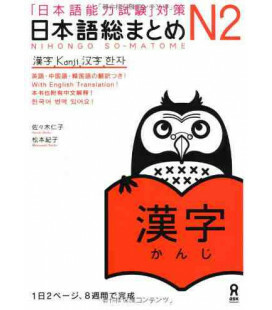 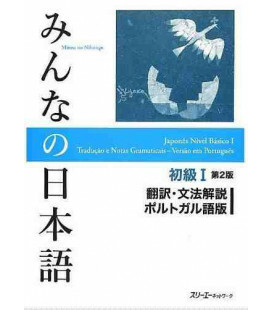 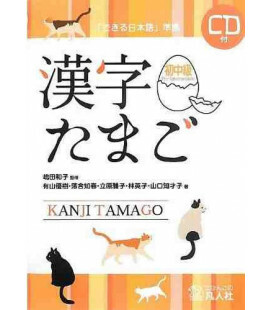 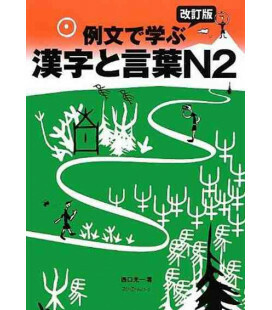 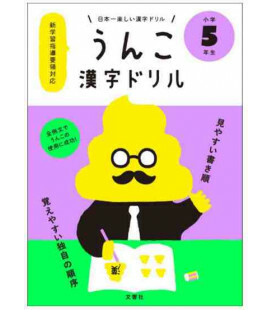 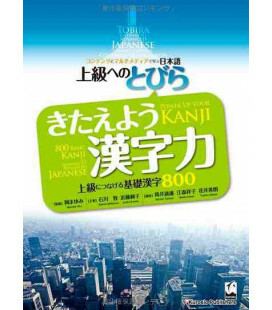 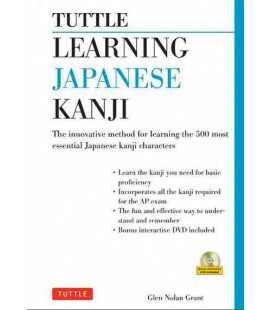 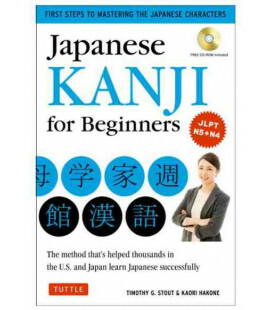 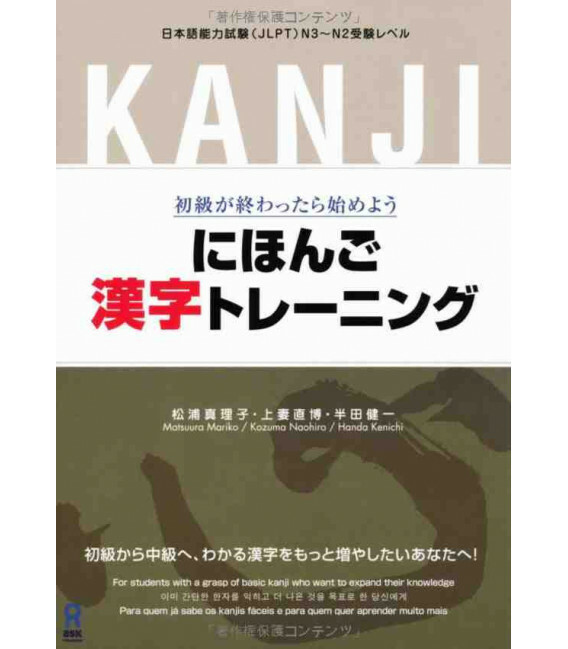 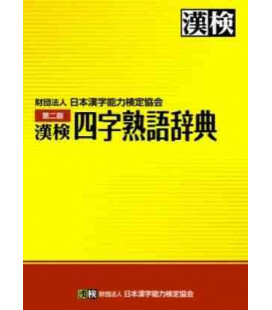 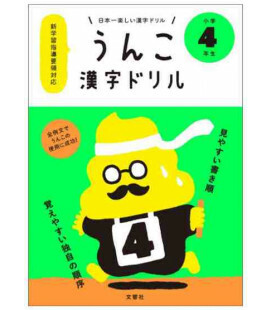 1 This book introduces kanji that are generally taught in an intermediate course (JLPT N3 and N2). 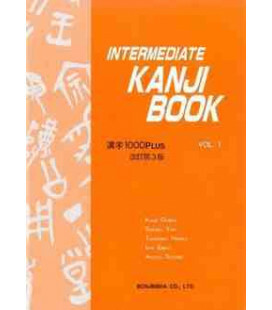 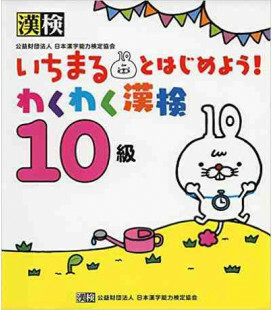 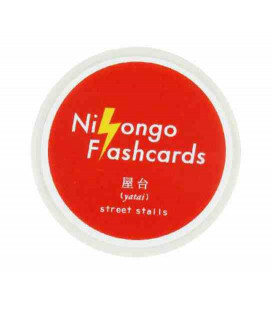 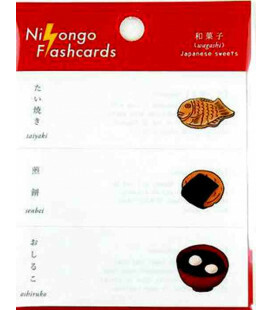 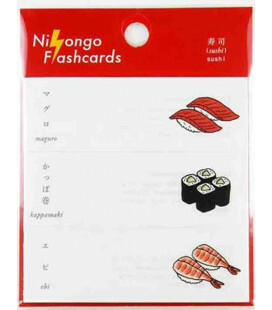 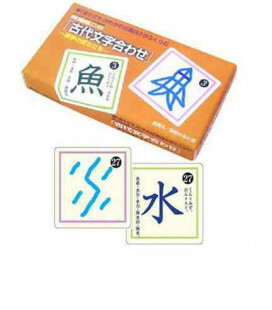 Exercises are provided to help students memorize kanji frequently used in everyday life. 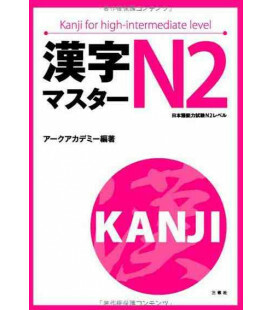 2 After completing the exercises in Part 1 through 4, you should have an understanding of what to look at in a kanji to make learning new characters and words easier. 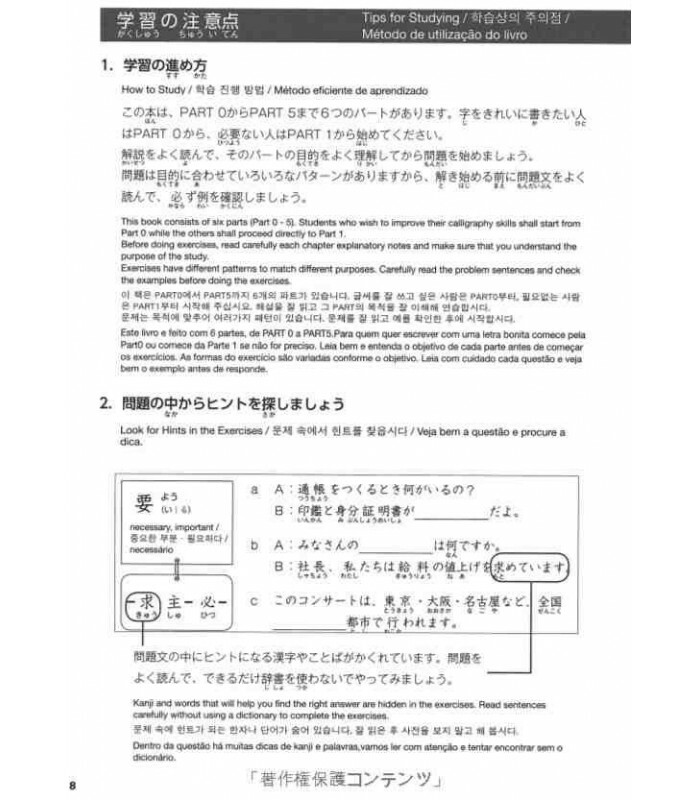 In Part 5, you can test your new skills using materials close to what you’d find in the real world. 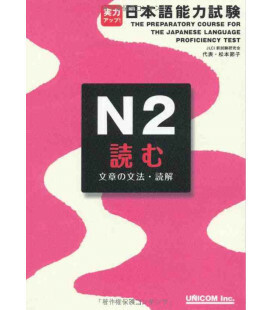 Students who wish to practice their handwriting skills, shall start from Part 0. 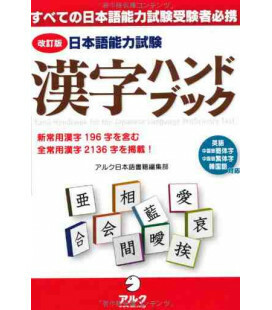 3 This book contains about 700 exercises. 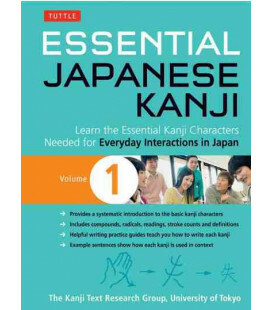 while all example sentences use natural-sounding Japanese that one hears in daily life. 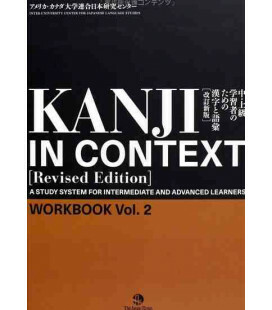 Study both the kanji and their example sentences for your benefit. 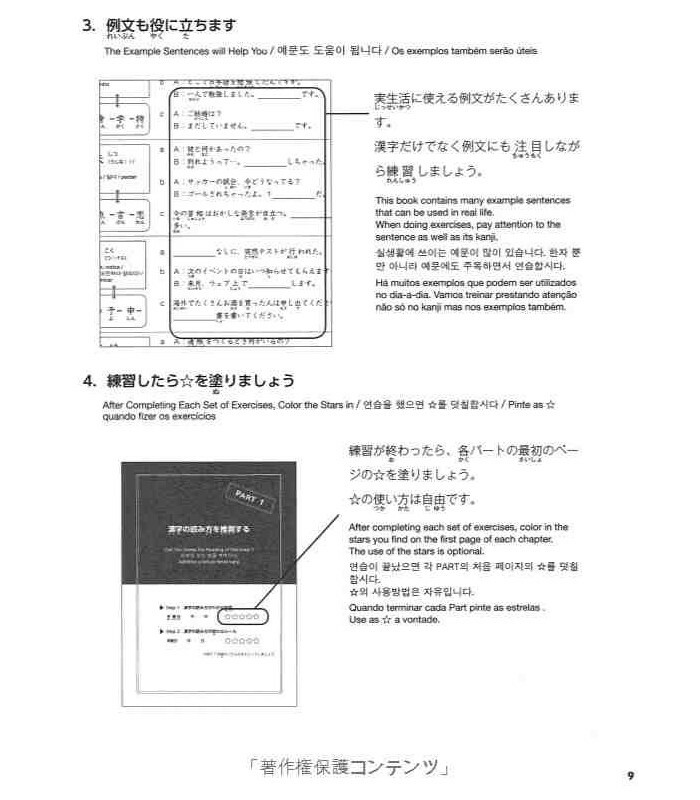 4 Exercise sentences are designed to help students study without the aid of a dictionary. 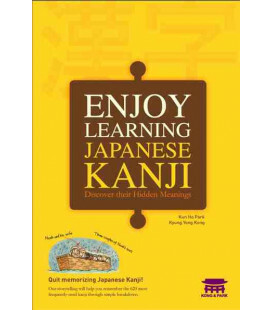 Pay careful attention to the kanji and words in a sentence when doing exercises. 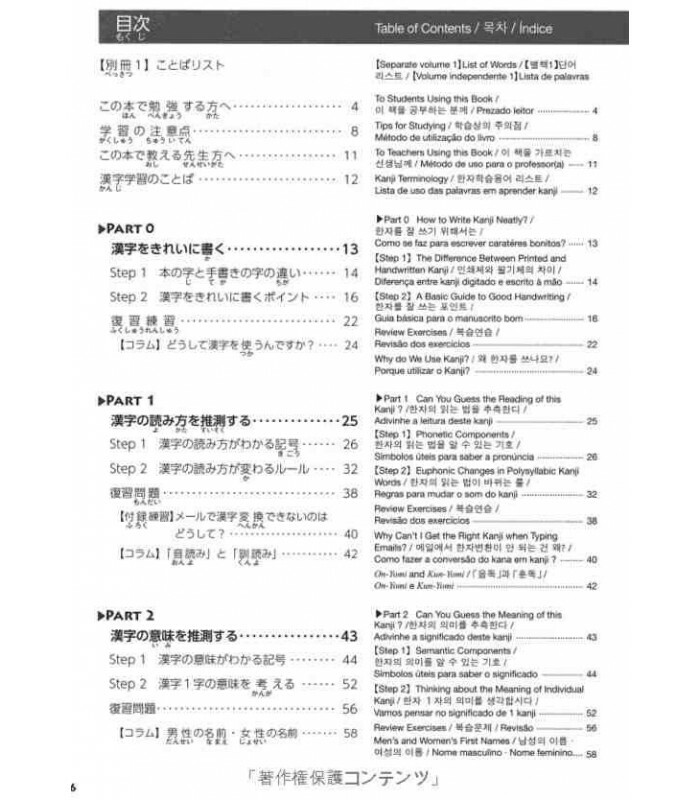 5 A vocabulary list with English, Korean and Portuguese explanations is attached at the end of the book. 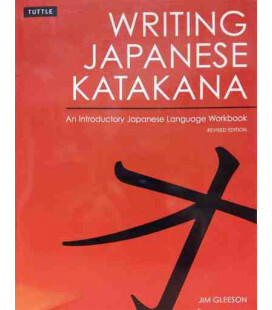 Be sure to check the list when you come across an unfamiliar word in the text.